The Caipirinha is considered the national cocktail of Brazil, and for good reason. It’s made from their most popular distilled spirit – a very strong rum called Cachaça – and while I’ve never had the pleasure of actually drinking one in Brazil, I’m told that’s the perfect climate for enjoying this wonderful cocktail. The true Caipirinha recipe is very simple: Cachaça, limes and sugar. Cachaça is distilled from straight cane juice, but it’s more tart and sharp than its cousin, rum. This drink is all about refreshing notes: it’s tart, but not too tart, and it wakes up your taste buds as it cools you down. You could fancy the Caipirinha up, but the charm of this cocktail is in the simplicity. At heart, it’s just a lovely variation on a rum and lime cocktail like the Daiquiri. It’s ideal for sipping along on a warm evening as you wonder why we bother with all the complications of modern living. Brazilian dishes are the perfect food complement to this drink. If you’ve never had Brazilian food, or don’t have it available in your area, it’s time to start making it at home. It’s an absolutely delicious cuisine. Try a Galinhada Mineira, which is essentially a saffron rice with chicken and vegetables, but with the addition of Brazilian ingredients that makes it unlike anything else. 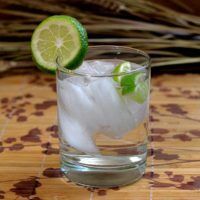 The Caipirinha, the national cocktail of Brazil, blends Cachaça with lime and sugar for a refreshing, sweet and tangy flavor. Cachaça is basically a special form of rum that's hard to find in some parts of the world, so if you can't find it, substitute a good strong white rum. 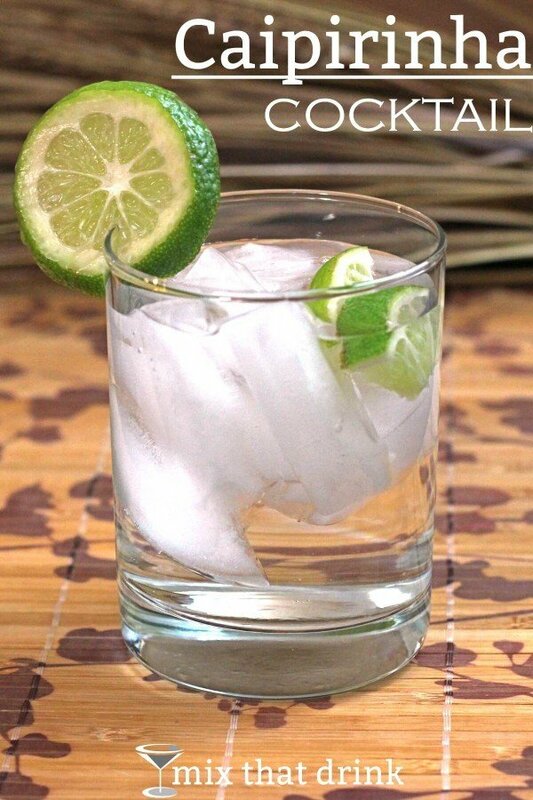 This drink is great for cooling off on a hot summer day. Remove the core and any seeds and then muddle them with the sugar in the mixing glass from a shaker. Add crushed ice to the mixing glass, then add the Cachaça, then shake it all together. Note: some people recommend brown sugar. It doesn’t look so pretty, but it tastes great. Also, some actually people recommend using the cheaper Cachaças rather than the high end stuff. You can also built the caipirinha in the old fashioned glass. I’ve never found that cachaca anywhere. Still great with regular rum tho!